The Moto G Turbo was a mid cycle upgrade to the Moto G 3rd Gen smartphone with a more powerful processor, better RAM and more storage. It also incorporated Motorola's fast charging feature due to its Qualcomm SoC - called the TurboPower feature. The Moto G Turbo Edition was one of the most attractive and well-built phone from Motorola within its range. It offered dust and water resistance offering resilience and a modest 720p screen that delivered sufficient viewing pleasure while watching movies and playing games. On the flip side, though it was compact, it was a bit heavy to be used with a single hand. Its camera quality was below par with average battery life. And if you have made up your mind to sell your old Moto G Turbo Edition due to its inconsistencies, don't wait and let Cashify do the honors. You can easily sell your old mobile phone online with the trustworthy service and prices offered by Cashify. Why sell your old Motorola Moto G Turbo on Cashify? Cashify is the leading smartphone resale portal in the country, with its fair prices and laudable services in purchasing old phones and other gadgets including tablets and laptops. It has partnered exclusively with brands like Xiaomi, Samsung and Apple to name a few. It boasts of a client base of over 9 lakh satisfied and happy customers with 11 lakh gadgets encashed so far. There really is no other service if you’re looking to sell old phones online. 1. 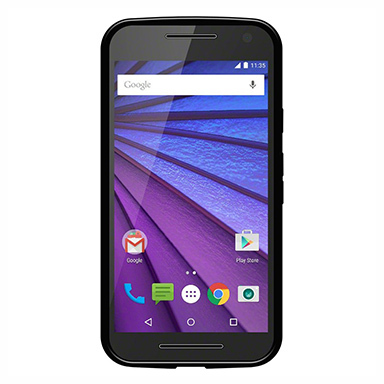 Head over to the Cashify website and select the Moto G Turbo Edition from the list of options. You will be required to answer a few questions about your used phone - such as its condition, age and more. 2.Next, Cashify will suggest a transparent price derived from your responses and the current market price of the phone. This is done thanks to Cashify’s automated price generation algorithm. 3. Like the price? Schedule a free pickup with Cashify at your own convenience. Choose the time of visit and share your address, and we’ll take care of the rest. 4. You can even select your preferred mode of payment - cash, bank transfers or even e-wallets. Once set up, you will be visited by our agent at the designated time and place of your choice and made an instant payment in exchange for your old mobile phone. With Cashify, you never have to worry about finding the right buyer and searching for the best prices online, or even physically. The platform is a one stop solution for all your old and used mobile phone selling plans. Cashify is the most trusted platform in India to sell mobile phones and other gadgets online for instant cash on pickup. Schedule a pickup now!